I really believe that this is a year to be bold and beautiful and let your true colors show. 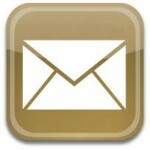 After all, why should we shy away from color and limit ourselves? 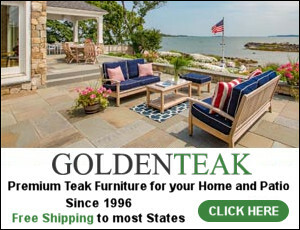 The longer I work in this area the more I tend to open my mind and respect my clients’ tastes, and this is exactly what one of the most talented interior designers in America, Andrew Howard from Andrew Howard Interior Design, did. 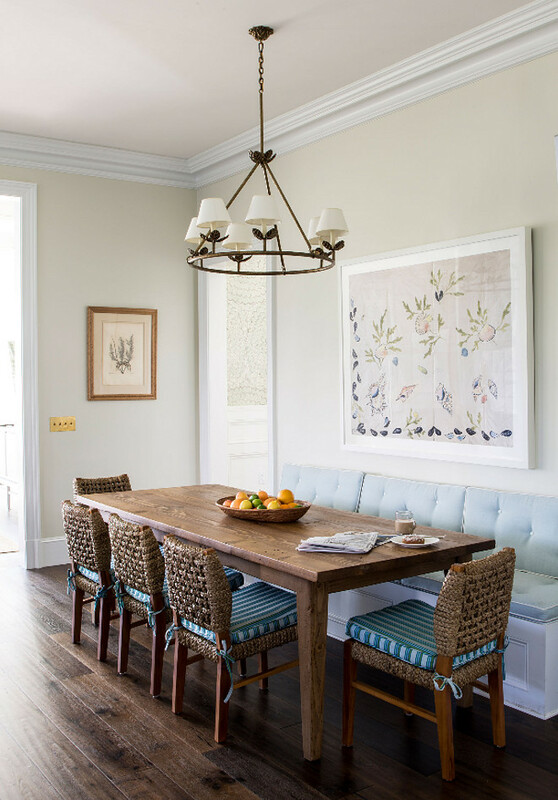 The homeowners, a couple with two small children, were moving from Manhattan to Florida and they knew they needed to create a welcoming beach house that felt kid-friendly and sophisticated at the same time. 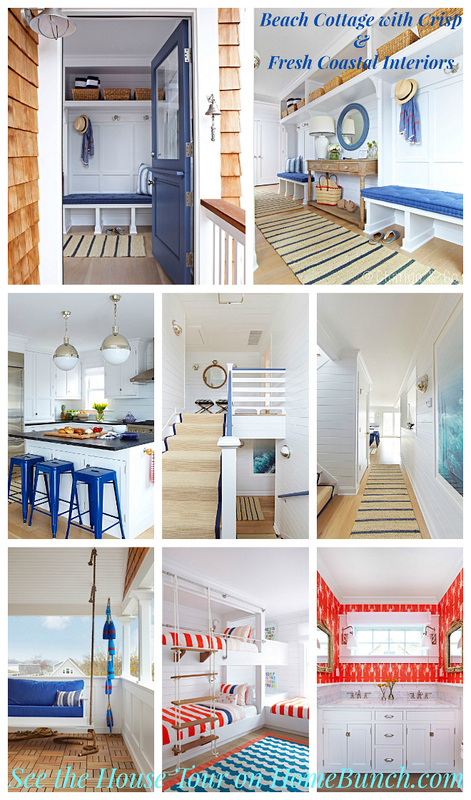 The wife, Amy, thought of creating a Hamptons-inspired home at first, but together with Andrew, they decided to take some risks and have some fun with the homeowner’s favorite color scheme – blue and white. 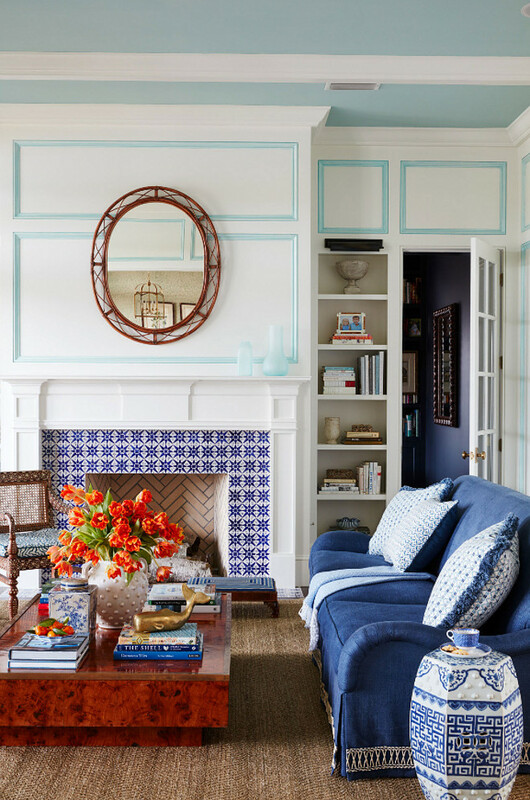 The designer explains that you really can’t go wrong with blue and white and that’s why he wasn’t afraid to use the colors in different patterns, shapes and sizes in almost every space of this home. Once featured on the pages of House Beautiful magazine, this home is sure to bring fresh ideas and a punch of high energy to your day. Free yourself and get inspired! You can easily feel the vibrant energy of this room! 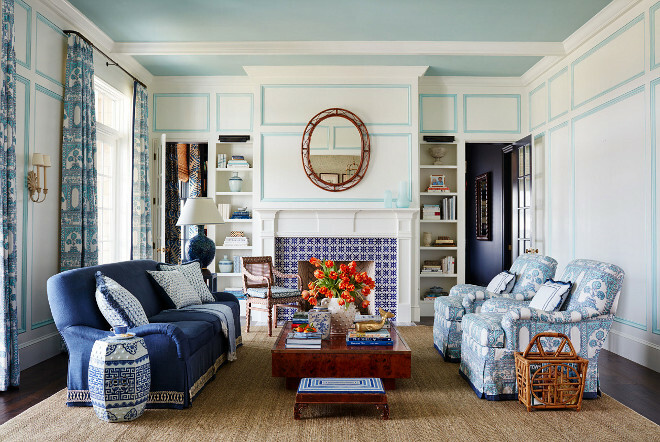 I am loving the fabric choices and the blue and white Moroccan tiles framing the fireplace. The fabric on the sofa is by Schumacher. The chairs feature a Quadrille fabric. Mirror is from Soane Britain. The blue and white tiles are from Mosaic House. The sisal rug is by Stark Carpet. 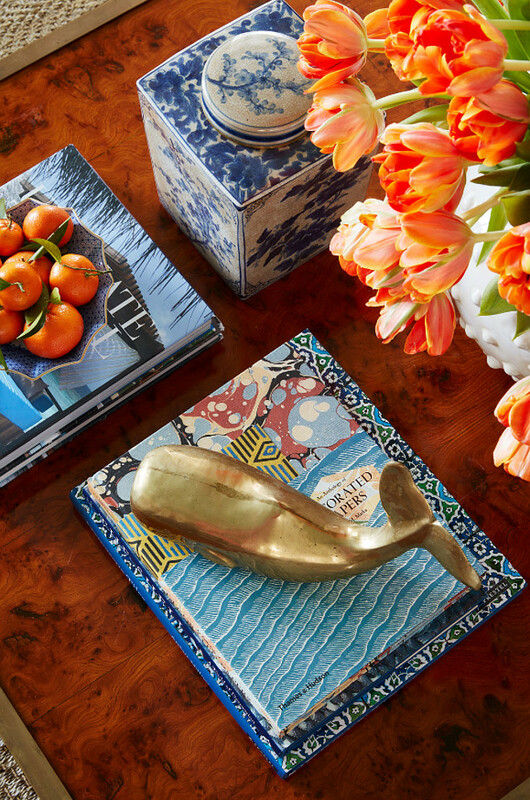 The coffee table is a vintage find. 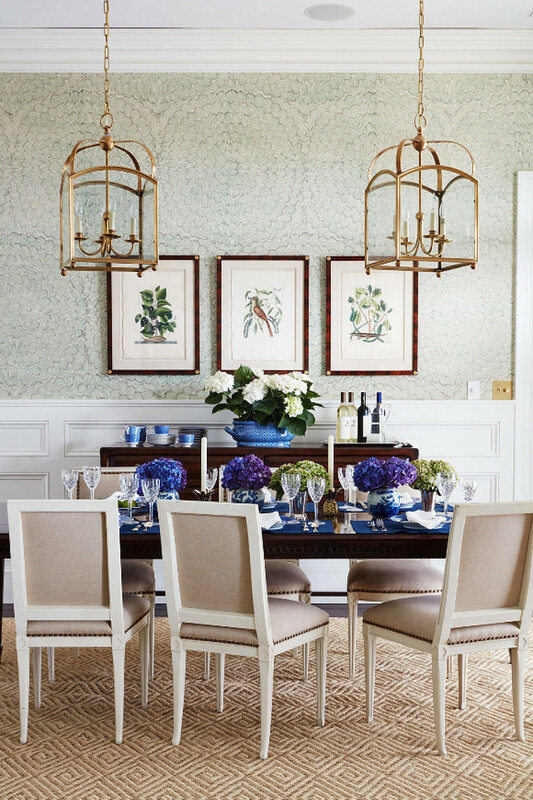 The dining room features a classy wallpaper and a pair of brass lanterns over the table. The brass lanterns are by Circa Lighting. Sisal wallpaper is Celerie Kemble’s Feather Bloom by Schumacher. The 18th-century prints are by English naturalist Mark Catesby. 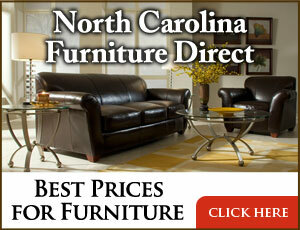 Dining table is Hickory Chair. Rug is by Stark Carpet. 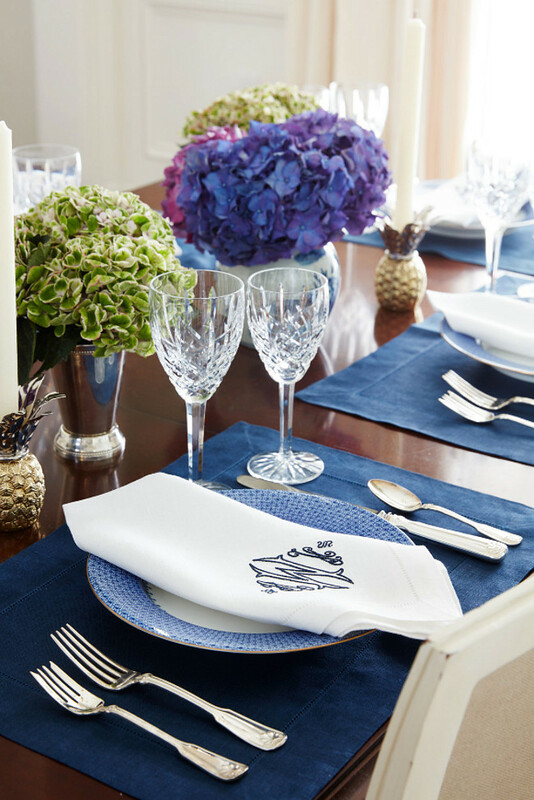 Blue and white brings a classic look to this table setting. This is one of my favorite rooms in the house. How could you not fall in love with this kitchen, right? 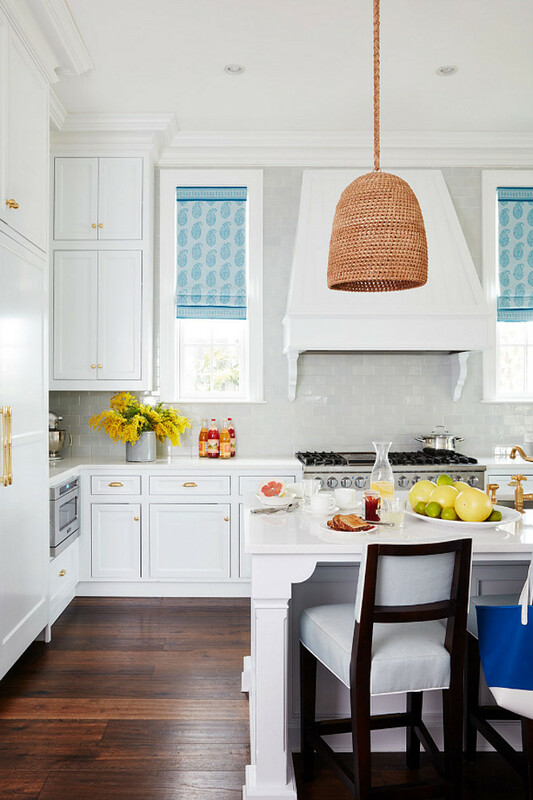 I am loving the white cabinets, the pale grey backsplash tile (perfectly matching the pale gray island) and the blue Roman shades. The window shades are done in a Peter Dunham Textiles linen. Cabinets are painted in “Benjamin Moore White Diamond”. The rattan pendant is the Green Oaks Pendant by Palecek. Appliances are Viking. The kitchen nook is spacious and light. I love the built-in banquette and the rattan chairs. Lighting is from Circa Lighting. The Lee Industries kitchen stools are covered in an outdoor fabric by Perennials. Notice the dark stained hardwood floors. 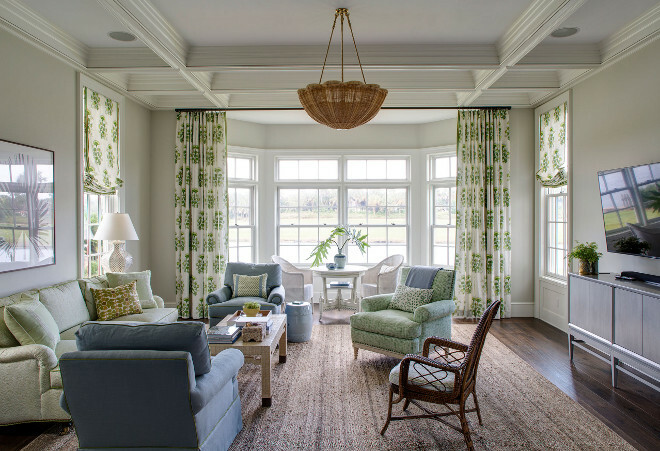 Doesn’t this family room feel refreshing? I love this “natural” color palette. 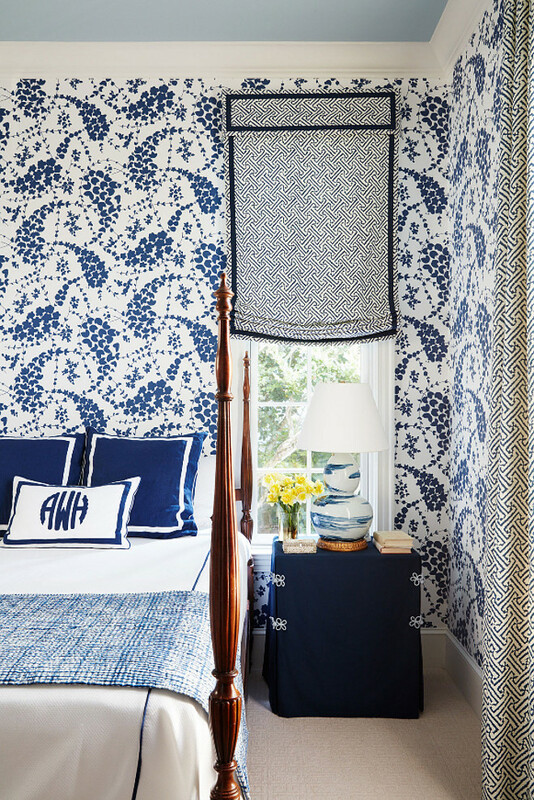 The draperies and the Roman shades are done in a fabric by Samuel & Sons. Lighting is from Soane Britain. 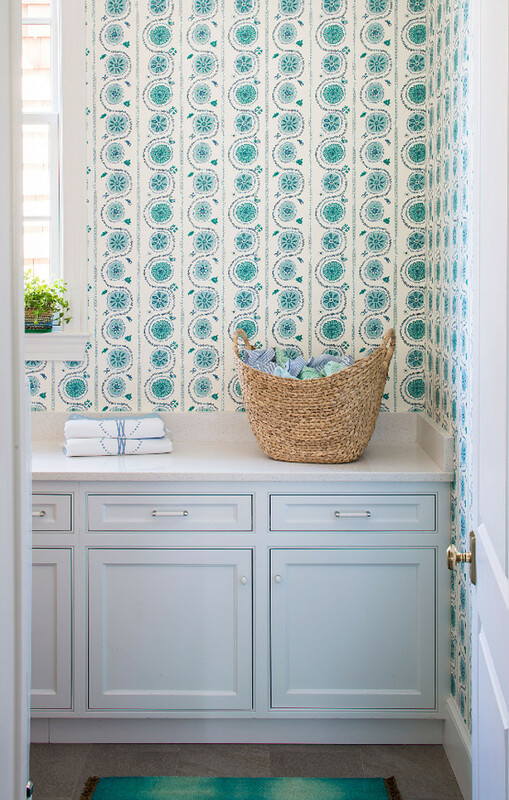 This beautiful laundry room features turquoise and blue wallpaper and soft gray cabinets. How dreamy! 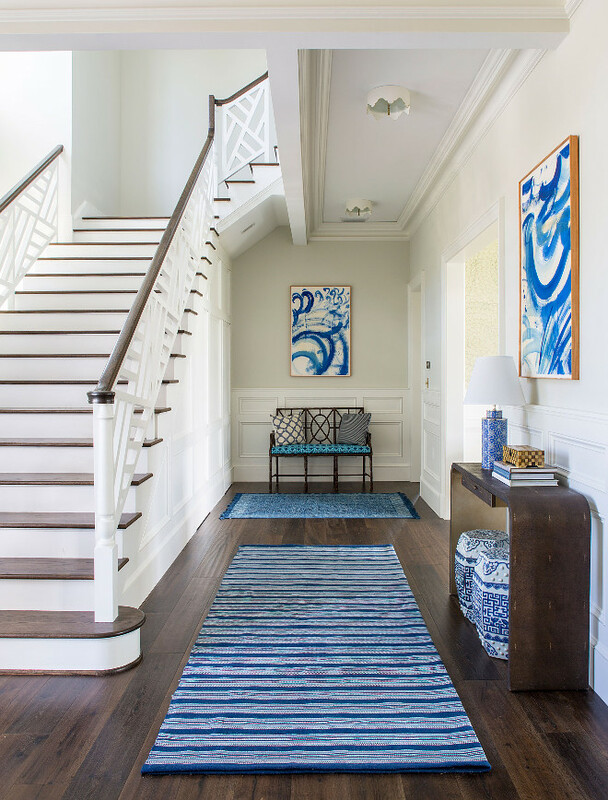 Beautiful foyer with blue and white decor, dark hardwood floors, wall wainscoting and custom staircase railing. The artwork at the end of the hall is by Sally King Benedict. The one on the right is by Kate Bellin. This is what the designer had to say about this space to House Beautiful: ” This windowless powder room under the stairs feels hidden away from everything. 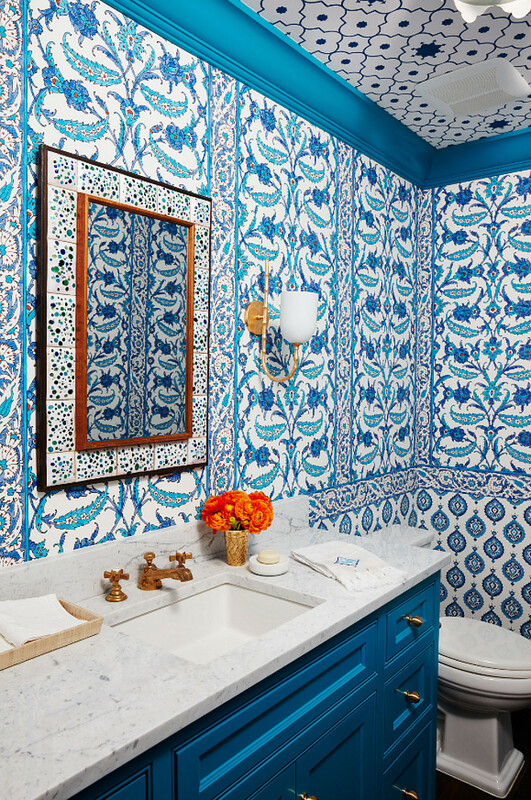 Total excuse to go big!” The space is covered in three blue and white Schumacher wallpapers: Samovar and Topkapi on walls and Taj Trellis on the ceiling. Vanity and trim paint color is “Benjamin Moore 762 Pacific Palisades”. Brass faucet is by Watermark. This guest bedroom is bold and chic. The window shade features a Quadrille’s fabric – Java Grande. Wallpaper is also Quadrille. The blue and white lamp is from Bunny Williams Home. Oh, wow! Andrew did such a good job decorating this boy’s room. 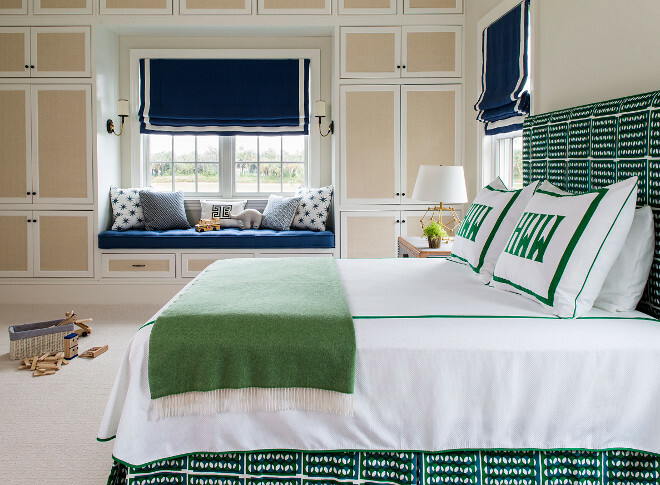 This green and navy color scheme is incredible and the built-in closet is a dream for any mom! The bed fabric is by Schumacher. 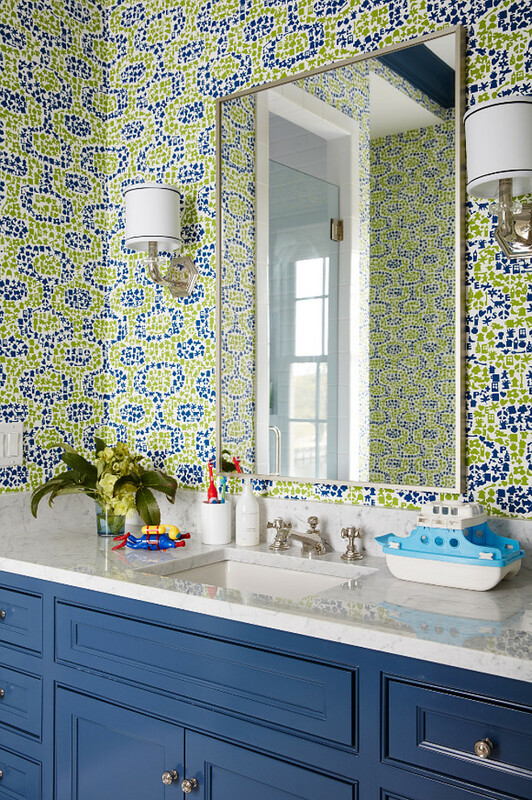 This kids’ bathroom features a bold wallpaper, blue vanity and white carrara marble countertop. Vanity paint color is “Benjamin Moore 1680 Hudson Bay”. This is what perfection looks like! What a fantastic ceiling design! Wallpaper is by Phillip Jeffries and the lighting is by Coleen & Co. The shades fabric is by Peter Dunham Textiles. Lamps are Jamie Young Co.
Bedding is by Leontine Linens. 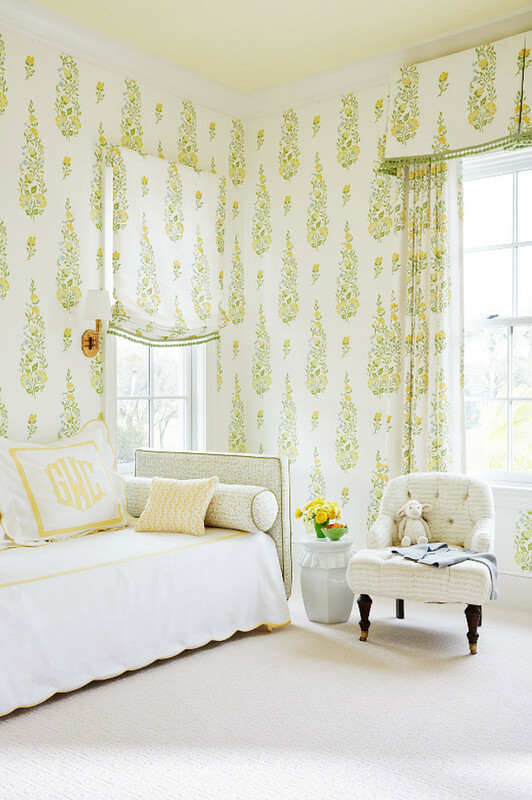 This adorable bedroom was designed for a very sweet little girl. The custom upholstered daybed features a Quadrille fabric. The bedding is Leontine Linens. Garden stool is from Bungalow 5. 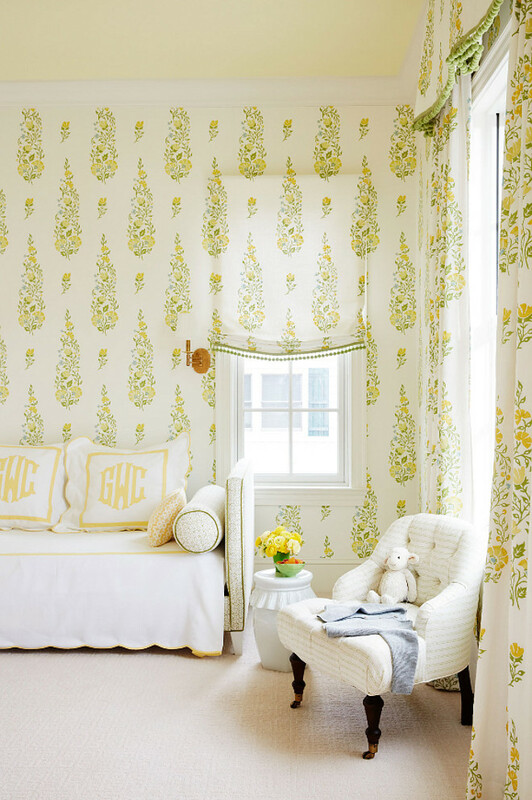 Fabric and wallpaper are by Galbraith & Paul. How dream is this bathroom? 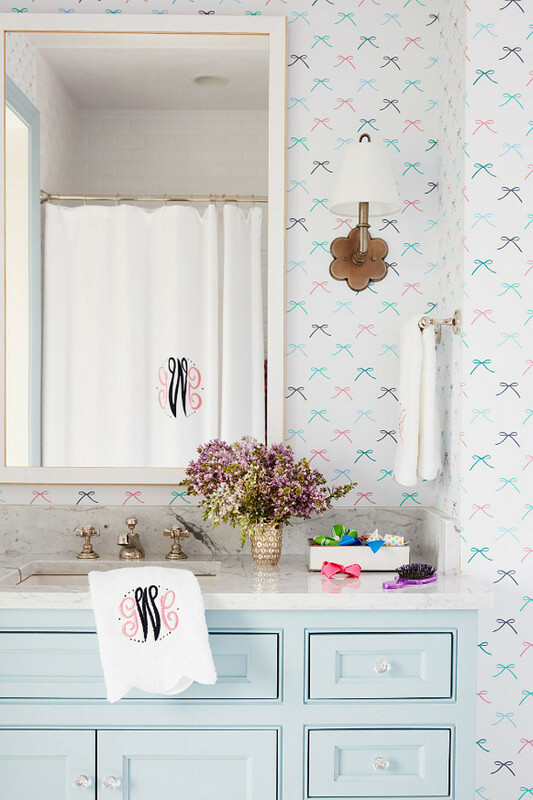 The light turquoise vanity works perfectly with the Dabney Lee’s bow wallpaper. The light turquoise paint color used on the vanity is “Benjamin Moore 2123-50 Ocean Air”. 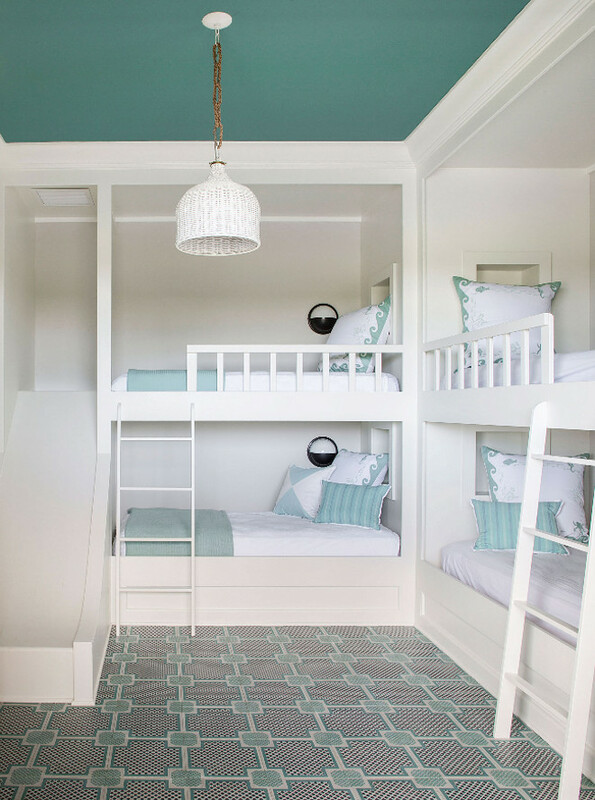 This bunk room makes you wish you were still a kid! It features four bunk beds and a custom slide. The floor is engineered wood tile from Mirth Studio. 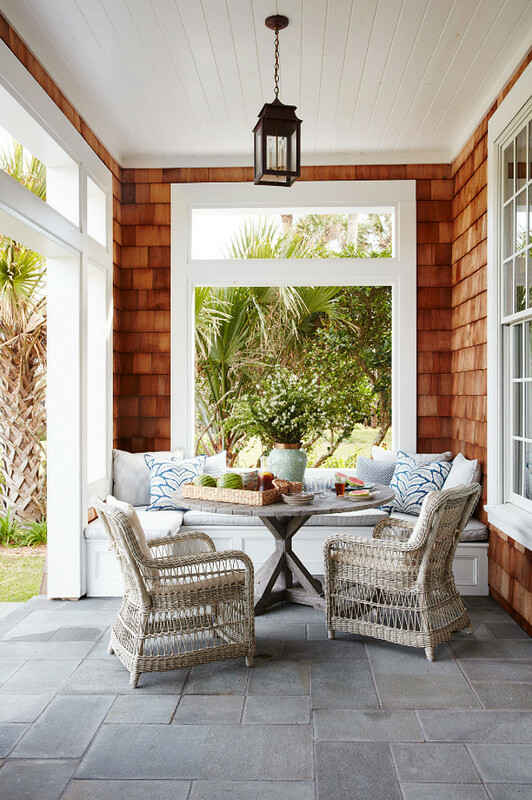 The porch features a gray stone flooring, a custom banquette and one of my favorites outdoor furniture – Kingsley-Bate. Interior: Andrew Howard Interior Design. I hope your day is filled with color and life… just like this home is! Be good, be happy and healthy! We’ll chat again tomorrow. Sources: Interior: Andrew Howard Interior Design. Andrew Howard on Instagram. Photos: David A. Land.